Philanthropist Runner and Miles 2 Give Founder, Landon Cooper, begins his 10,000-mile team run for Sarcoma Cancer on April 15, 2014 in Times Square, NYC. Landon Cooper is following up his 2013 team run across the USA with a 10,000-mile-counter-clockwise run around the United States with a team of three other runners and guest runners for his 501c3 Non-Profit Organization, Miles 2 Give, starting on the one-year anniversary of the Boston Marathon bombings. Cooper’s 3,000-mile team run cross country for sarcoma awareness made headlines in 2013, and he’s setting out to raise even more awareness and research funding this time around. The 2014 Miles 2 Give tour will begin and end in Times Square, New York City and will cover more than 10,000 miles from start to finish. The tour starts on Tuesday, April 15 at 7:30 AM and will conclude seven to eight months later back in Times Square. Miles 2 Give is a 501c3 Non-Profit Organization that raises research funding in the fight against sarcoma, the “forgotten cancer” by running across or around countries. In 2013, Landon, Ryan Priest and John McKay embarked on the inaugural Miles 2 Give running tour. The three ran 3,187 miles across the United States for 157 consecutive days – each day honoring another sarcoma Warrior. During the 2013 tour across the USA, the Miles 2 Give team surpassed its fundraising goal of $100,000. One hundred percent of all money raised on tour went directly to research in partnership with Sarcoma Foundation of America. Cooper first ran for a friend battling sarcoma on Valentine’s Day 2010. Although his friend passed away in 2011, he kept running in her honor up until the run across the USA. The 2014 goal is to raise $500,000 for sarcoma cancer research in partnership with Dr. Jones, Dr. Randall, and Dr. Schiffman of the Huntsman Cancer Institute in Salt Lake City, Utah. The Huntsman Cancer Institute recently broke ground on a $100 million sarcoma research laboratory, expanding their efforts to see that this is the generation for a cure. The Miles 2 Give team takes on sponsorships prior to every team run to cover the cost of each journey. Cariloha is a providing sponsor for the Miles 2 Give team, donating its Bamboo Fit gear for all four Miles 2 Give runners, including socks, compression shorts, running jerseys, sports bras, work-out pants, capri pants, racerback tanks, performance shirts, and more. 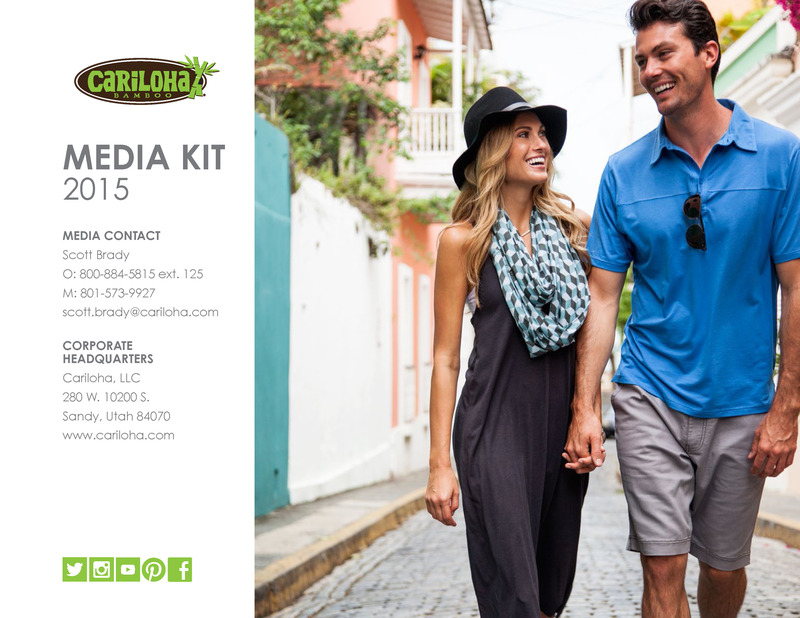 Cariloha’s ultra-soft, moisture-wicking, odor-resistant fabrics are made from eco-friendly bamboo. For more information on sponsorships, donations, media interviews or general Miles 2 Give inquiries, please visit www.miles2give.org or www.facebook.com/miles2give.org.